Nonprofits aren’t exactly the same as for-profit businesses. Still, they have many needs that are similar to those of businesses with paying customers. For starters, nonprofits need to market to and build strong relationships with their supporters, just as companies need to keep their customers engaged. Successful organizations have to demonstrate value, service, and a personal connection in everything they do — maybe even more so than for-profit businesses. And much like small companies, most nonprofits are working with small teams and tight operating budgets. They must use their limited resources as efficiently as possible to maximize the impact they can have in their communities. For all of these reasons, a good customer relationship management (CRM) system can be a game-changer for nonprofits. As the name implies, CRM software can help any type of organization better manage its relationships with its patrons. Many systems also offer features to help streamline workflows and improve efficiency. However, it’s important to keep in mind that not all CRMs are suitable for the unique needs of the nonprofit industry. If you’re seeking a CRM for your nonprofit, here are some key features to look for. Obviously, the best nonprofit CRMs will actively help organizations cultivate donor relationships. Not only should the CRM track offline and online donations, but it should keep track of attendance at events, phone conversations, and other points of contact. The ability to schedule tasks also ensures that follow-ups occur in a timely manner. These features will help you reinforce connections with your donors, as well as improve internal communication and organization amongst your team members. To turn donors into loyal supporters, it’s important to let them know how much your organization appreciates their contributions. For instance, most donors expect tax receipts. They also certainly expect and deserve thanks for their generosity. A good CRM for nonprofits can generate both of these documents automatically and email them instantly to donors. Contributors will appreciate this kind of prompt service. Best of all, it won’t take any additional manual effort on the part of your team to delight your supporters. Just as for-profit businesses are adopting technology to help them work more efficiently, so too are nonprofits. For instance, many nonprofits increasingly rely upon email for communication. Besides offering the ability to schedule thank-you and follow-up emails, a good CRM for nonprofits should integrate with popular email providers and email marketing software. CRM email add-ons display a convenient overview of a donor’s history while users compose messages. Meanwhile, email marketing integrations make it easy to send out mass emails for fundraising campaigns. Too many nonprofits waste time with manual effort for donor and donation management. The right CRM software can easily automate tasks and streamline workflows. For instance, the process for accepting online donations typically starts with an online donation page. A good CRM will make it simple for even non-technical people to create an effective fundraising page. In turn, information entered on this page should automatically be saved to the CRM and trigger appropriate follow-up activities. After all, most nonprofits don’t have the time or money to spend on complex website development or repetitive data entry. Accounting software only ever works as well as the data it can capture. 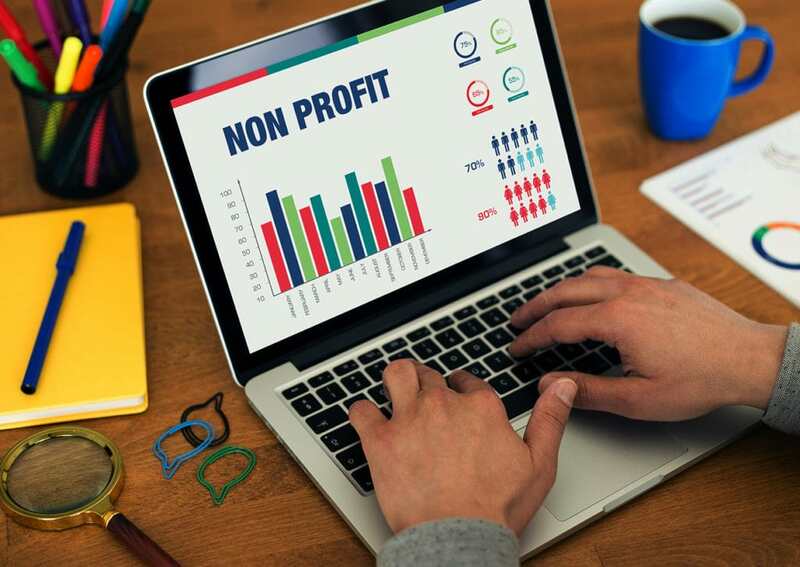 Often, nonprofit employees or volunteers have to manually copy information from the system that captures contacts and donations to their accounting software. This takes time and can lead to data entry errors. A good CRM will solve this problem by integrating with popular accounting software like QuickBooks. By automatically syncing your donor and donation data to your accounting database, you’ll save time and improve your data accuracy. These days, people like to be able to work anywhere from any device — and nonprofit employees are no exception. During the course of the day, you may be visiting different sites and going online using your laptop, desktop computer, tablet, or phone. For maximum productivity, the best nonprofit CRMs will have mobile app functionality. This ensures that the features you need to use look good and work well no matter which device you’re working on. Every nonprofit has its own unique needs and workflows. Furthermore, no organization wants to change their processes just to fit the constraints of their software. That’s why a customizable CRM is an ideal solution for nonprofits that don’t have the budget for a custom-built system. Customizable CRM software will make it easy to personalize donation pages, add new data fields, and set up custom processes. And as time passes and certain aspects of your organization evolve, the CRM can evolve along with them. In the end, this level of flexibility will save you money and increase productivity, allowing you to focus more energy on fundraising. A great CRM can help nonprofits reduce manual data entry, streamline workflows, and improve donor relationships. While adopting new software may seem like a daunting task, don’t let the initial investment deter you. In the long run, the time you’ll save will allow you to focus your efforts on the work that really matters.